Abortion is illegal in Cyprus up to the extent of a 14 years prison sentence except under certain narrowed exceptions. Nevertheless, European Union Law considers abortion as a ‘Service’ and most of the EU Member States have sufficiently more relaxed access to abortion services than Cyprus currently does. Taken as granted that EU Law explicitly overrides Cyprus national law, even on the criminalisation of abortion, it follows that any Cypriot woman can vindicate her access to abortion, through the EU principle of freedom of services. This is in relation not only in establishing access to abortion, but also in claiming refund for up to the total costs that occurred to the Cyprus woman by being forced to travel to another Member State in fulfilling such task. The article is relevant to the recent arrest of a private doctor and a woman for charges of illegal termination of pregnancy against Articles 167-169A of Cyprus Criminal Code CAP 154, which carry up to a 14 years sentence. Despite any ethical views against or in favour of abortion, it remains a fact that such an act is recognised under EU Law as a ‘Service’, and accordingly the Cypriot woman can access it through the fundamental EU principle of ‘Freedom of Services’. Moreover, the article goes further in explaining that women with insufficient funds may under the Directive 2011/24/EU on patients’ rights in cross-border healthcare claim refund from the Cyprus Government for up to the total of their incurred costs in accessing abortion services in another EU Member State. 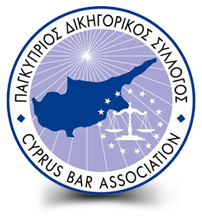 Since the EU Directive is already implement in Cypriot legal order, the Article provides an explanation on the procedure in fulfilling such task. The whole point is that the access to Abortion services in Cyprus is strictly narrowed, whereas in the most of EU Member States, such access is provided upon substantially more relaxed criteria. It is argued then, that if the Cyprus legislative approach on abortion is not updated with the current trends of EU Law on woman’s reproductive autonomy, then the Cypriot woman is forced to seek her entitlement in abortion access through EU Law, and as a result, Cyprus Government has to cover up for such costs.